- youth at the San Francisco Juvenile Justice Center and at Project WHAT! Our weekend-long Alcatraz Symposium on Justice & Freedom was a fitting closure to We Players' three year residency in partnership with the National Park Service, inspiring creativity, deep emotion, meaningful conversation, cross-pollination of communities, and the forging of new relationships. Our Alcatraz project themes of incarceration, isolation, justice and redemption are central to the lives of all who have been affected by the justice system. Who more so than our youth? 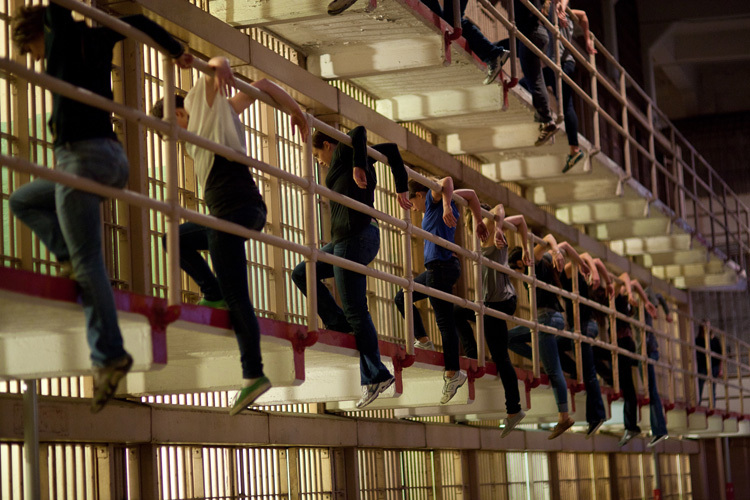 Using awareness exercises, theater exercises, text exploration, writing exercises, forgiveness and grief rituals, we will listen, foster creativity, and support the JJC youth in sharing their stories and perspectives on the Alcatraz themes. Material from these programs was presented in our gallery and during the October 2011 Culminating Symposium, with youth participants as our special guests on Alcatraz. In 2011, We Players also presented a four-day symposium at Alcatraz exploring justice and freedom through diverse media. Symposium events occurred throughout the island and included: performance art, music, dance, visual art exhibitions, ritual, and panel discussions with formerly incarcerated artists as well as victim awareness activists.